With the packed house at this year’s Project Earth Day eco-runway show and big name designers like Alexander McQueen and Stella McCartney acknowledging the need for the garment industry to clean up its act, there’s no denial that green fashion is making its mark. Surprisingly, even with all this going on, a true eco-fashion presence has been missing from the city whose name is synonymous with high fashion – until now. 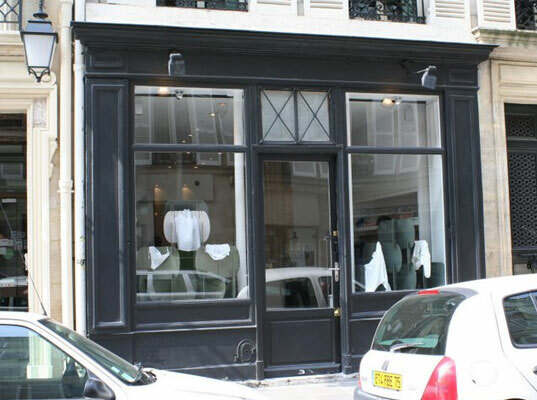 Eco-boutique Ekovaruhuset just had their grand opening in the city of lights, and we were there to bring you the scoop! As eco-fashion junkies, we have been fans of Ekovaruhuset for quite some time now. 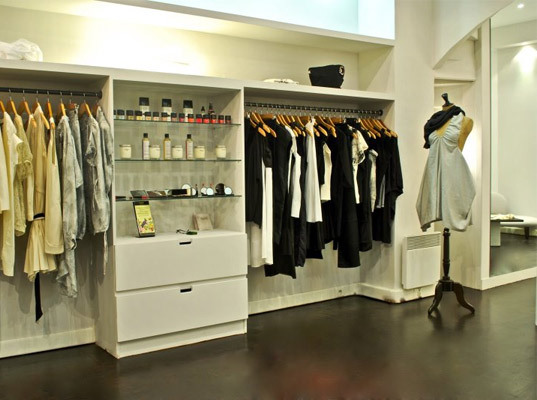 The designer collective has locations in Stockholm and New York, and offers choice cuts of organic, environmentally conscious and fairly traded clothing from designers like Johanna Hofring (founder of Ekovaruhuset and “self-elected godmother of the eco-nerds”, Meiling Chen, Xing Zhen Chung-Hilyard, Melissa Kirgan, Mika Machida and Kaori Yamazaki. So when we heard that entrepreneur Helene Sananikone was ready to open up an Ekovaruhuset in Paris, we were thrilled to be able to check it out. 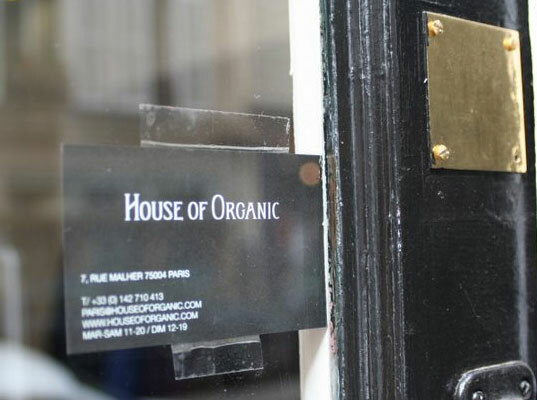 The store itself, which so far, is only identifiable by a tiny business card taped to the front door, is an eco-fashionista’s dream closet. 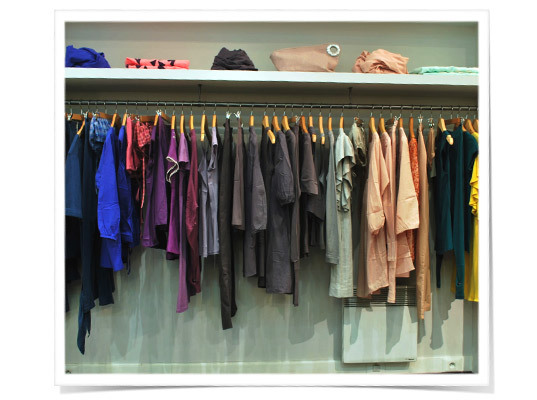 Ample mirrors, a blobby white couch and cute accents like twiggy doorpulls that Helene made herself set the perfect mood for diving into the colorful racks of clothing. Some of our favorites are Meiling Chen (flowy and flattering dresses that are so natural they look like they just grew out of a plant), Camilla Norrback (looks expensive but is not!) and super-chic Bllack Noir. 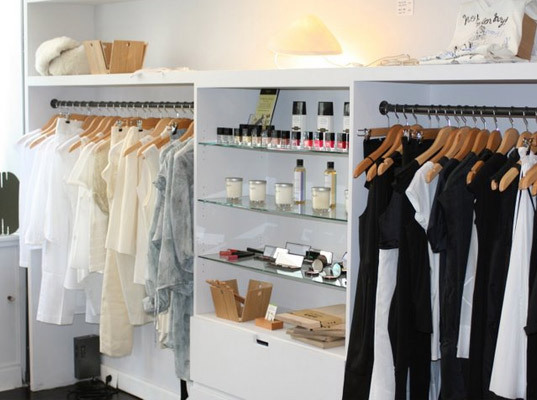 We also love that the boutique sells a well-curated collection of organic cosmetics, making it a one-stop shop for eco-conscious Parisians. 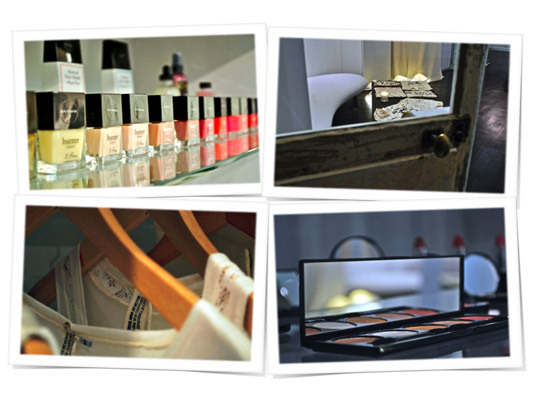 Some brands to look out for while you’re there are: Butter London, Nvey Eco, and Timothy Han. 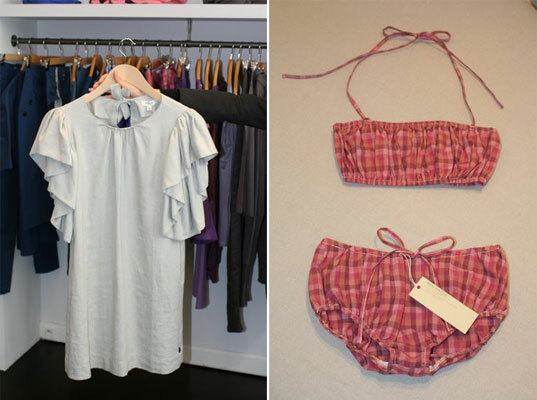 And don’t forget to check out Helene’s picks for younger eco-fashionistas too- Victoria Christmas (super-soft and very posh) and Little Anh-Em (cheeky and fun). So where will the next Ekovaruhuset pop up? Tokyo? L.A.? If you want one in your neighborhood or are interested in starting your own, let them know. Email info[a]ekovaruhuset.se, and keep us in the loop so we can visit! Excited to see Ekovaruhuset's new opening, and cherish the NY location in LES. Hi, that is the one, thx for sharing.